Are schools really being swept up in a "drug epidemic"? 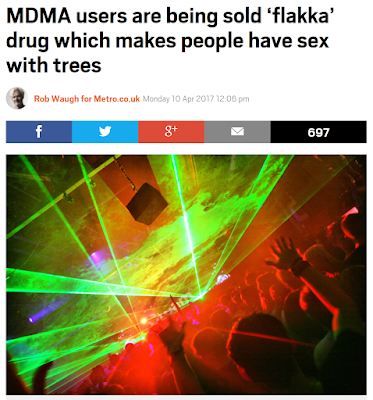 Have things really changed since we were teens? If fewer teens are drinking alcohol and if they do drink, they're older when they start, do we know why? 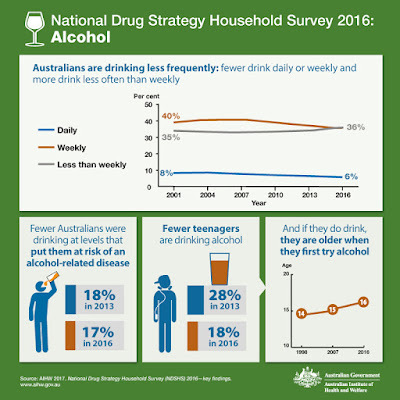 With the release of the latest National Drug Strategy Household Survey (NDSHS) results we now have even more evidence that growing numbers of our young people are choosing not to drink alcohol. At the end of last year we saw the release of the data from the Australian Secondary School Alcohol and Drug (ASSAD) survey(23,000 students from Catholic, Independent and state schools surveyed from across the country) which told a very similar story. Put simply, fewer teenagers are drinking alcohol. My favourite piece of data from the ASSAD survey is that in 1999 we had around one in ten 12-17-year-olds who had never used alcohol, but in the 2014 survey we had 1 in 3 who reported never drinking. That is a phenomenal result and a cultural shift that we should be celebrating! I've talked so much about trust over the last couple of months and the importance of remembering that during adolescence your child is likely to lie to you to get what they want. There are certainly those parents who don't agree with me, choosing to believe that if you trust your teenager they will 'repay' that trust with being open and honest about their behaviour, whatever that may entail ... As I have said, I believe strongly in the following - most young people will do the 'right thing' most of the time, however, all young people will do the 'wrong thing' at least some of the time!